Not So Fast! Interactive Game ~~ DONE~~Read The Moves! What is Not So Fast? The Not So Fast! (NSF) contest is a forum-based game with good-natured interaction between participants resulting in a list of products each person must render. For the game, there are Not So Fast moves done with, to, and /or between the participants. Have fun watching the artists manipulate, plot, and scheme to manuver products onto the final render list of each person. The six items a person starts with (two sets, three props, and a character) definitely will NOT be what they have to render at the end of the game! The goal is simple. CREATE MISCHIEF. The gameplayers are NOT here to be cooperative! Or...are they? They're playing for laughs and to see who can create the best "Not So Fast!" moves which leave other artists rendering funky combinations. The motto of the game is, " If you can mess with someone, do it." Strategy reigns supreme here, timing is everything. Other people DO have moves to get another player out of a bind- but will they use them? They might if the culprit has pulled a NSF move on them and they want to give some payback by helping out another recipient. You never know! Basic Rules: To qualify for the prize gift cards, participants follow these guidelines. Posts will have the current tally of where they stand and are updated by the participants, it's very easy to immediately see what they've done AS THE GAME MOVES ALONG! 6. Conspiracy and giving suggestions of what can / should be done TO OTHER participants is encouraged- it's time to "start throwing people under the bus." However- participants are limited to suggesting ONE NSF move. They can NOT map out two or more advance strategies or even hint at them. 7. The person on the receiving end (of a conspiracy being discussed against them) is allowed try to influence the outcome by pointing out BETTER MOVES AGAINST OTHER PLAYERS. They can not discuss themself AT ALL. 8. Players can not ask for help regarding their current situation, with the exception of the NSF #5 of a mutual swap. 9. All collaboration is done on this official thread. No PMing, emailing, smoke-signaling, Morse Code...you get the idea. The chitchat is out in the open for everyone to enjoy. Well, everyone except the player on the receiving end. It will be fun to watch alliances form and shift. The person you think has your back, just stuck you with a slimy worm, a worn toilet seat, or a lollipop. Here are the NSF moves the players will make: (Remember-players must use 4 out of 7 and get a total of 20 moves) They are designed so even if a player is not online, the game continues without them. Their list of products in their possession will change even if they are not participating at the time. Players can not make moves with other players (such as swaps) unless they possess both items. 2. "We're Swapping Says Me" Make another contestant swap products with you. Both people must own the same things and they must be the same TYPE. (a prop for a prop etc) This is a harder one, both items must be in their possession at the time. 3. "We Agree To Swap" One time use by a player during the entire game: Two contestants AGREE to swap products. DIscussion is allowed but NOT strategizing future moves. (See Communication rules.) In other words, you can discuss swapping one item, but not strategizing why you're doing it or what you plan to do after the swap. 4. "You and You Swap." Force two other players to swap items. YOU decide what they swap. Again they must be the same TYPE. (prop for a prop) Players must own both items and have them in their possession. You must then send one of your other items (SAME TYPE) to the list as now you have too many. 7. "You're A Thief" Tell another contestant (you chose) they MUST steal a specific item (they own) from another contestant. (you chose.) YOU'RE DONE. a. Must give up the same type item (a prop if they had to steal a prop) to the list because they can only have 3 props, 2 sets, and 1 character. They may NOT give up the item they had to take. b. The MINUTE they post the item they are giving up, it is available, whether Novica has had time to get it to the list or not. First come first served, but note it does count as a NSF (#3 above) whether it is on the list or not. c. Tells the person they stole from which item from the list will replace it. And of course, it must be the same TYPE of item. 8. "Fetch It For Me, Thanks!" Combining two moves, #5 Say Bye And Hi- and #2 We're Swapping Says Me. The person goes and gets an item you also own, and they give it to you when they get back. Tell someone what product they are giving up. CAN NOT BE A CHARACTER. The one who does NOT have an item in their possession owned by both players, you tell what product they are giving up. Then you tell them to swap the item the first person has (A, which they both own) and the new item (B) just brought in from the main list. "The Old Hagrad" Hagrad makes the Old Maid look absolutely adorable. Send this woman on her way because when the game ends, if she's in your possession you automatically have to add another product (VOTED ON BY THE PARTICIPANTS) to your render. Thinking about holding on to Old Hagred until the last minute and sticking it to someone? Nah, that's too predictable. a. Once you receive Old Hagred, you must pass her along before you can do a NSF. b. If it has been longer than 6 hours since you received the old gal, she will be moved along for you. (You put the time in the post when you give her to someone) SHE IS PUT ON HOLD AFTER 6 HOURS (by any participant who is online) AND YOU LOSE THE RIGHT TO PASS HER ALONG. The first participant to call the time on it, gets to look at the list of people (which is in EVERY post with Hagred) who have yet to receive her that round, and pick someone to send her to. Don't miss your opportunity to choose- send her within 6 hours! c. Once a player receives Old Hagred, they can NOT get her again untill ALL players have had her at least once. After everyone has had Hagred, it starts over again, everyone gets her a second time before she can make the rounds a third time. Or more. Hagred should get her broom motorized, she's going to be visiting a lot of players! Novica will launch the first one and show you how to do the post. Please do not point out infractions. Let the players handle it. Appreciate it! THIS THREAD IS NOT OPEN FOR POSTS. IT REQUIRES A LOT OF SETTING UP AND THEN WILL ONLY BE FOR THE INTERACTIVE GAME PLAYERS. THANKS! Link to the final renders goes here. How to decide if you get credit for a NSF and interacting with people is important. You must have interactions with at least 6 different people and use at least 4 different NSFs. The rule is simple. If you didn't START the NSF gameplay, you don't claim it. You don't claim the NSF move, you don't claim the interaction with a person or people in the move. Example: Novica tells nonesuch00 "Hey, you look bored. Not So Fast! #7, You're a thief... you must steal that Kangaroo from jakiblue. Then tell her what to get from Now Available to replace it. And you have to give up a character (the same type item nonesuch00 just had to steal) since now you have too many." In that example, Novica gets credit for NSF#7 and credit for interactions with nonesuch00 and jakiblue. They get ziltch, nada, zero. If barbult and IceDragonArt chitchat and agree to do a swap, they can both claim the interaction or decide who takes it. The interaction counts as two people (both claim themselves and each other. The game is now live. Scroll down and see who currently owns what, and watch the timeline for a summary of the action. The posts will be more entertaining, however! Players insert Old Hagrad's picture, then copy / paste (again, do NOT quote) the statements. They then add to the statement sequence and note the person they are sending her to in the YES section of ownership. Then they add the date and time- DAZ TIME. The date and time sent is important! When the forum switches to another day, the time is erased over by our avatars and only the date shows. Once everyone has had her once, all the yes comments will be removed and we start over again. Novica will do the first post of Hagrad, and you'll see how to do it. Participants are asked to keep an eye out and make sure the YES gets noted. 1. August 13th 4:30 pm Novica sent Old Hagrad to xmasrose. 2. August 13th 10:30pm Barbult here! 6 hours and xmasrose has not responded. You snooze you lose. I'm claiming Old Hagrad and sending to RGCincy. (barbult gets credit for owning her, see below.) Hey RGcincy, I think she's your type. 4. August 14th 4:32am jakiblue here telling everyone to back off, she's mine. IceDragonArt was probably doing promos. I'm sending her to..... (jakiblue gets credit for having her. Anyone who gets her, takes her, and / or passes her on is considered an owner. Who Started With What This is what the characters had when gameplay started. They didn't get to choose, there were guidelines as to specific pages/ choose from the top of a given page. Go to the NEXT POST to see what has changed! CURRENT STANDINGS: Check TIMELINE. There will be a few minutes lag. Changes to what players had in their possession are marked in red. The next post down starts the Timeline- it will track for you the latest moves by the gameplayers! Yep, this is the fun post to watch. Want to know the mischief players are causing? This tells you who teamed up wtih whom, and who was on the receiving end. Then you can watch the payback. Who is the initiator of gutsy moves? What are the products getting shuffled around? Can you see a player's strategy? Are the other mischief makers clueless? I wouldn't "just" use this list to watch the game. The BEST part is the trash-talking between players, and the "encouragement" of players to do-it-to-it to other players. August 11: 10:45 Game is about to kick off! August 11: 10:45p Novica sent RGcincy Old Hagred so he could get a kiss. He has 6 hours to pass her along or we do it. August 11: 11:25p Cancelled, it's a tricky move and we'll do it again later. August 11 11:57p RGcincy decided Old Hagred just wasn't his type. Feeling sorry for barbult who must've eaten some Rat's Tail Dessert, he is sending Old Hagrad to help figure it out. Barbult has until 5:57am to pass her along or we do it for her. August 12 3:04am Novica just gave away some research so someone else can do a NSF #4. The first game player to claim it doing what she told them to do, gets it. Valid until 6:04am then she will use it. RGcincy and dreamfarmer can use the information and do a #2 We're Swapping Says Me if either wants to claim it. August 12 3:22am 3dcheapskate makes a return move on Novica with NSF #5 (Sending one to the list and telling her what to get in return. Must be the same type item.) So BD Aspen is replaced with "even cuter Nybras." 3dcheapskate's words, not mine. August 12 3:46am xmasrose claimed the free research. August 12 4:09am xmasrose NSF #4 You and You Swap. RGcincy must give Sci-Fi Cockpit Interior to Dreamfarmer, who must give RGcincy Fantasy Cavern. She said RGcincy needed some fantasy in his life, and Dreamfarmer can welcome the future. August 12 4:11am Novica NSF #2 We're Swapping Says Me Being stuck with Nybras, plans a double move. Watch and learn. Remember 3dcheapskate made poor IceDragonArt take that Great White Shark? Novica takes the shark from IceDragonArt who then gets stuck with Nybras. August 12 4:11am Novica's second move- NSF#2 again, We're Swapping Says Me. She dumps the AM Sharks: Great White onto unsuspecting Stormlyght and takes Stormlyght's adorable Keiko 6. So Nybras is IceDragonArt's problem, the shark is Stormlyght's pet, and Novica ended up with adorable Keiko 6. Thanks 3dcheapskate. to nonesuch00. She heard nonesuch00 had a fight with Sakura so she sent her packing, and the gentle dolphin is taking her place. August 12 5:18am Barbult refused to let someone stick her with Old Hagred. 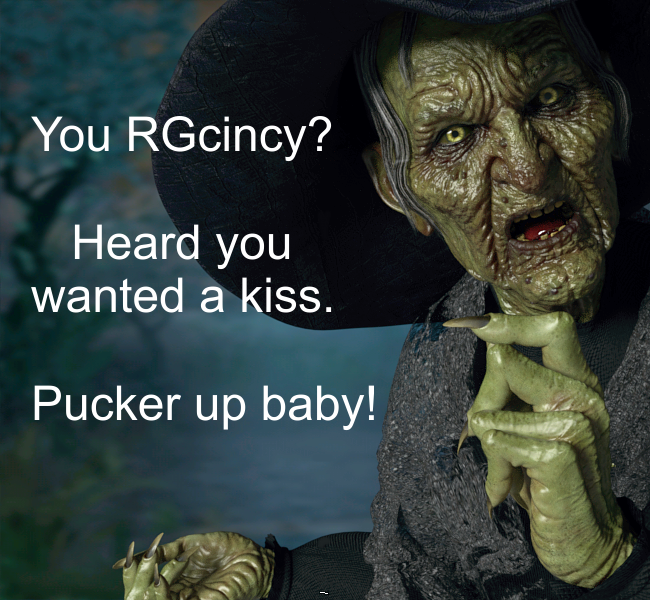 She stated, "I'll get you later RGcincy!" and sent the witch onto unsuspecting Wonderland. Wake up Alicia! You have until 11:18am Central Time to send that gal on her way. August 12 5:42am Kismet2012 NSF #5 Say Bye And Hi (tells her what to give up, and what to take from the list.) Thoughtful Kismet2012 allowed Novica's toilet to depart and Novica took the walker from Senior Walker Prop. Novica is actually grateful and will see what she can do for Kismet2012. EDIT: five minutes later, Novica realizes what a slick move that was. She and Kismet2012 are the only two who own that, so Novica is stuck with it. For now. August 12 5:51am 3dcheapskate NSF#4 You And You Swap nonesuch00 took Medieval Castle Interior from LaPetiteVerita. LaPetiteVerita took Patio Dining from nonesuch00. August 12 5:58a kismet2012 NSF #6 I'll Take That, Thanks. Took the flashlight prop from Iray Ghost Light Kit 2 from LaPetiteVerita, had her replace it with Fluttery Wings(G3) (Dragonfly). Kismet2012 had to give up the Mistletoe Cookie from Christmas Cookies. Because you only have one character to give up RDNA Sluggians went to the main list and is now available for others to use. August 12 7:14am Kismet2012 NSF #4 You And You Swap. xmasrose will swap the Diary (Open/Close) from Everyday Stationary with Barbult, who will swap out the Corkscrew from Wine Me. August 12 8:00a Kismet2012 NSF #5 Say Bye And Hi to Wonderland. Bye went Monique 7 and she must say hello to the "adorable Benji Puppy HD" for Daz Dog 8. "He's just so cute." Keep an eye on Kismet2012- Wonderland is the ONLY one who owns that. You know what that means- and so does Kismet2012. August 12 8:10a xmasrose NSF #5 to RGcincy because a close friend told her FW Laverne HD is not happy with him anymore and Morpheus "is in need of a good friend, poor thing is so lonely.." So Bye Laverne and Hi Morpheus. August 12 8:26 3dcheapskate NSF #5 Say Bye And Hi to Novica. Because Nybras departed Novica's company, he thwarted her plan of ending up with Keiko 6 and made her give Keiko up. She is now the proud owner of a Housefly. GAME PAUSED so Novica could add all the currently owned in the main list as red items. August 12 10:32a Kismet2012 NSF #4 You And You Swap. Stormlyght will swap Winterblack Tower for dreamfarmer's DM's Cave of Secrets. Because NOW Novica takes the pesky coffin lid (a prop) but gets to give up a prop to the list because she has too many props. It's her choice, so she dumps the Senior Citizen Prop (Walker) and gets to decide what prop 3dcheapskate has to take from the list. RGcincy just put himself on 3dcheapskate's radar. Novica decides that 3dcheapskate is the proud owner of Jump Your Way (Full Gate 4) because he's so good at horsing around in this game. So note- the initiator of the NSF (RGcincy, decides who steals, (Novica) who they steal from, (3dcheapskate)and what they steal. (the coffin lid.) The person doing the stealing (Novica) decides what they have to give up to the list (same type item) (walker) AND what the person they stole from (3dcheapskate) has to take from the list (jumping gate) to replace the lost item. THIS IS A GREAT WAY TO GET NEW ITEMS INTO THE YES I OWN IT LIST. So she took Star 2.0, dumped her character Tiami back out in the main list. Now poor xmasrose is without a character, and dreamfarmer gets to choose what to give her. Dreamfarmer is a very nice person as she chose Noodles the Toon Cat. August 12: 10:59a dreamfarmer NSF #5 Say Hi And Bye to Novica who gives up the Kelp (Aguja Undersea Environment) so she can get some Epic Wings for the Housefly. So thoughtful. August 12 11:05a LaPetiteVerita NSF #5, has now joined the fun. Say Bye And Hi on Kismet2012 who gives up Collective3d Portrait Vignettes Old West and gets Velodome Track from the main list. August 12 11:08a Kismet2012 NSF #7 You're A Thief to IceDragonArt who must steal Old West Bath House (a set) from jakiblue. Okay, IceDragonArt (the person doing the stealing) decides what item they give up to the main list AND what the person they stole from (jakiblue) has to take from the list (a set) to replace the lost item. IceDragonArt is not online, we think- so at 1:08 (two hours from now) I will assign someone to pick a set for jakiblue from the main list, and which set IceDragonArt must give up. August 12 11:15a LaPetiteVerita NSF #7 You're A Thief to Novica who must steal an earring (Jeweled Excellence Earrings 2) from Wonderland. (Novica thinks her fly will look just dandy with those btw.) Novica now has too many props and (yes, keeps the coffin lid) and gets rid of the Horse Drawn Carriage (Daz Horse 2) She gets to decide the prop for Wonderland and chooses Basketry. August 12 11:20a xmasrose knew Wonderland hadn't come online to pass along Old Hagred, so she did it for her. 3dcheapskate is the new recipient and has exactly 6 hours which is 5:20p to give up the witch. August 12 11:28a RGcincy NSF #6 I'll Take That (steal an item and decide what they take from the list, then because you have too many you must give the same type item up.) He is of the opinion he can use Tangien Portico better than xmasrose but tries to soften the blow (after insulting her) by sending her Bar Interior 2018 to get drinks. Because RGcincy has too many sets, he has to give one up and away goes Parkside Head Interior. "Too gloomy for my tastes." August 12 11:38a Stormlyght NSF #7 You're A Thief She tells Barbult to steal Morpheus from RGcincy. She's done. Now barbult has to get rid of her character, as she can only have one, so Yasuo for Lee 6 is moved to the main list. She has until 3:30p to choose a character for RGcincy. August 12 11:56 Stormlyght NSF #4 You And You Swap. All RGcincy had to do was wait and that Porta Potty would be on its way. Yep, Stormlyght made Kismet2012 give up that Piercing Collection (Nose Piercing) and take the Porta Potty, and RGcincy can now figure out how to do a nose piercing. August 12 12:08p Stormlyght was asked to pick a character for nonesuch00 from 6:48am this morning. (We won't wait that long in the future, but since that was an early morning hour, we waited to wait a bit.) She chose Warrior Maiden Tanwen. August 12 1:46p RGcincy was asked to pick a set for jakiblue and it was already taken. He wanted her to have a nice relaxing day in the water. What a nice guy. He's trying again and I will come back and post it. He must also decide which ones of IceDragonArt's sets has to be given up. August 12 2:20p Stormlyght did NSF #2 We're Swapping Says Me with LaPetiteVerita Stormlyght gave her GIS Nova and LaPetiteVerita gave up Patio Dining to Stormlyght. Talk about a switch! August 12 2:53p Stormlyght NSF #6 I'll Take That, Thanks and swooped in on RW Letters and More (Letter Q) owned by Saphirewild. She chose Daybed Romance for Saphirewild. Because she now has too many props, Stormlyght gave Z Deadly Weapon Gun (Silver Gun) back to the main list. August 12 3:09p barbult makes her presence known with a NSF #5 Say Bye and Hi to Stormlyght stating the letter Q doesn't suit her. RW Letters And More (Q) heads to the list and Multiletter System (X Standard Font) gets a new home with Stormlyght. Times were taken off due to forum going to "next day." Will do brief summaries. It's taking too long to link the posts and times, so will just be doing summaries without those. Barbult NSF #4 You And You Swap for Novica and xmasrose. Novica gave up Mortuorum Sacris (Coffin Lid) and got The Werks Mega Prop Collection (Lollipop) from xmasrose. Sweet deal! Stormlyght NSF #6 I'll Take That, Thanks to Wonderland. She takes Cyber Wings and sends Symphonic Sounds/Poses (AMP) to the main list. Wonderland gets Fantastical Sprite Wings. Kismet2012 NSF #4 You and You Swap RGcincy swaps Tangien Portico and xmasrose swaps out Tree and Swing. Dreamfarmer NSF #6 I'll Take That, Thanks. Done to Saphirewild. She takes A Curious Hallway, sends Sci-Fi Cockpit to the main list as she'd have too many sets otherwise, and replaces the hallway she took with Disconsolation for Saphirewild. Kismet2012 passed Old Hagred along on behalf of 3dcheapskate who is on a different schedule. The recipient is dreamfarmer. Kismet 2012 NSF #2 We're Swapping Says Me Sent LaPetiteVerita Zoey for Victoria 5 and took FWSA Pepper. IceDragonArt NSF #5 Say Bye And Hi to 3dcheapskate who gave up Technophilia Arcane Star Scope (Scope) and got Chainsaw. 3dcheapskate NSF#2 We're Swapping Says Me to Saphirewild and swaps Ace of Spades Jack (backpack) with Steam Bike Pro Pile of Luggage, a duplicate. Novica implements a new rule about duplicates so others won't have them. 3dcheapskate bailed out Saphirewild. RGcincy gets jakiblue a different set (from a previous post) and it's Northern Terrace Street. Since he had to steal, he gives up Piercing Collection (Nose Ring) and also designates nonesuch00 gets the Formula 1 Race Car. August 12 RGcincy NSF #5 Say Bye And Hi to Wonderland. She loses DM's Dark Shrine and gets Chinese Courtyard. Both are sets. August 12 Dreamfarmer says "Ack!" and sends Old Hagred to jakiblue. August 13 NSF #8 Fetch It, Thanks! is announced. It combines the Say Bye And Hi and We're Swapping Says Me. A player tells another one which item goes to the list, and which one replaces it. (NSF #5, Say Bye And Hi.) THEN #2 We're Swapping Says Me kicks in where the player takes the item just fetched from the list. August 13 Novica NSF #5 Say Bye And Hi to dreamfarmer, who gives up that boring Star 2.0 and gets Troll Beast. August 13 Novica NSF #5 Say Bye And Hi to nonesuch00 who gives up Warrior Maiden Tanwen and gets Genesis Cupid. Awww! August 13 Novica demonstrates the NSF #8 new move. Fetch It, Thanks! She makes sure someone owns Jeweled Excellence, that would be LaPetiteVerita among others. Always check the person owns what you are going to swap with them later. So Novica sends LaPetite Verita to pick up a prop that Novica also owns. LaPetiteVerita picks up Architect Office (Buddha) Upon returning, Novica says hand it over, and gets the Buddha, giving LaPetiteVerita the Jeweled Excellence. It is simply a combination of Say Hi and Bye, then We're Swapping Says Me. You get to ensure what you want to swap is something YOU picked out! (and it only counts as one NSF! The new NSF#9 is also in play. You pick up an item for a person which they and another person both have, and send one to the main list. Then you have two players do a swap. This combines Bye And Hi with the You And You Swap. You make all the decisions. 5:08am xmasrose NSF #5 Say Bye And Hi to Kismet2012 Collective3d Portraits Vignettes Old West 2 goes Bye and Bend of the River says Hi. Now Kismet2012 will spend more time outside. 5:21a kismet2012 is off and running with the new NSF #8 Fetch It, Thanks! xmasrose gave up Tangien Portico, then went to fetch Daz Barn and kismet2012 took it and gave her Velodome Track. 7:19a xmasrose NSF #7 You're A Thief to dreamfarmer who must steal Jump Your Way from 3dcheapskate (because she needs a gate to escape from the Troll.) (Hmm, Novica was responsible for giving both those items...) Now dreamfarmer must give up the same type item and tell 3dcheapskate what item will replace the one given up. She will give up Monster Skulls and 3dcheapskate gets Dystopian Console. 7:23a LaPetiteVerita NSF #5 Novica Say Bye And Hi Novica FINALLY gets to tell the fly to buzz off, as "insects are never fun to deal with." She gets Sakura 8. 7:35a xmasrose NSF #5 to Barbult who gives up Everyday Stationary (Open/Closed Diary) and says Hi to Daz Water Pump /Grain Silo (Water Pump) "Don't lose time writing when you should water the crops!" Old Hagred has made her appearance, leaving dreamfarmer and visting Saphirewild. 10:55a IceDragonArt NSF #4 can't be done as both parties don't own the articles. 11:10a dreamfarmer demonstrates NSF #9 Fetch Now You Two Swap. Novica gave up The Werks Mega Prop Pack (Lollipop) and brought back Thursdays Child Deaddy Bear, which was swapped with xmasrose's Wine Me (Corkscrew.) So xmasrose got the Thursdays Child Deaddy Bear and Novica got the Wine Me (Corkscrew.) This was all possible because Novica had Wine Me. You MUST have an item ALREADY IN POSSESSION that both players own. 11:14a 3dcheapskate NSF #2 We're Swapping Says Me with dreamfarmer who takes Summer Gazebo and gives A Curious Halway to 3dcheapskate. 11:16a IceDragonArt NSF #8 Fetch It For Me, Thanks! IceDragonArt sends Barbult to the list to grab Hood Huntress Collection for her, and barbult gives up School Lunch Props so she can do it. When the Hood Huntress Collection gets back, IceDragonArt takes it and gives barbult the Stellar Fury in her possession (because they both own it.) See how this works? (And it's just one person dictating it, my verbs are just to make it easy for you to visualize. Barbult never "does" anything. 11:23a Dreamfarmer NSF #5 Say Bye And Hi with IceDragonArt who says Bye to Aeridian Interstellar Throne Room and Hi to aMAZEing Journey Around The World. 11:48a RGcincy NSF #2 We're Swapping Says Me with Kismet2012 who gets the Tree and Swing (Set) while giving RGcincy the Daz Barn. 12:08p barbult NSF #A2 We're Swapping Says Me to RGcincy who gets The Alcove and she gets Daz Barn. 12:44p Old Hagred was passed along to someone who already had it. 1:14p Saphirewild Need a bit of clarification. Aug 13th afternoon: IceDragonArt NSF#7 You're A Thief to nonesuch00 who takes BBQ Grill Collection from Wonderland. Nonesuch now must give up an item and replace an item for Wonderland. Wonderland is no longer in the competition (never got to start.) Nonesuch gave up Formula1 Race Car. barbult NSF #6 I'll Take That, Thanks to jakiblue. Barbult takes the Lemonade Stand and gives up Stellar Fury, and jakiblue gets the Kick Scooter. nonesuch00 Can't do that move as the people don't have item in possession. (Wonderlands Old West 3, DM Dark Shrine move.) Barbult pointed it out. Kismet2012 NSF #9 Fetch Now You Two Swap Both players 3dcheapskate and Novica own DM's Anardhaus. Novica gives up i13 Foxy Lounge and takes an item both players own, Crypta Sepultus. 3dcheapskate then is given Crypta Sepultus, Novica gets DM's Anardhaus from 3dcheapskate. Stormlyght NSF #8 Fetch That, Thanks and has Novica ditch her Wine Me Corkscrew so she can go fetch the SY Super Splash Pack Iray for her. She gives Novica the SY Rigged Waterfalls Iray that she had in her possession. LaPetiteVerita NSF #4 You And You Swap xmasrose gets Tree and Swing, barbult gets Velodome Track. Stormlyght NSF #9 Fetch Now You Two Swap Aw, poor Noodles The Toon Cat got sent back to the list by xmasrose who picks up She Freak V4 from the main list. xmasrose gives 3dcheapskate the She Freak V4 and 3dcheapskate gives Yasuo for Lee 6 to xmasrose. nonesuch NSF #7 xmasrose You're A Thief. She takes Daz Water Pump/Grain Silo (Water Pump prop) from barbult. Now xmasrose decides which prop she has to give up, and what prop barbult gets to replace the one taken. nonesuch NSF #6 I'll Take That, Thanks with jakiblue, taking her Northern Terrace Street, and sending his Medieval Castle Tower Interior to the list (otherwise he'd have too many sets.) Then he picks from the main list to replace the set he took, and gives jakiblue Picnic Area Exterior. nonesuch #5 Say Bye And Hi He has Saphirewild say Bye to Disconsolation and Hi to Generic Sci Fi Corridor. nonesuch #1 I'll Swap With List Moves his Northern Terrace Street to the list and takes Versatile Terrain. For nonesuch's #7 You're A Thief, (earlier post) xmasrose gave away Janitor Gear and to replace the prop she stole from barbult, barbult got Kick Scooter. 3dcheapskate has got NSF #9 down pat. Stormlyght ditched SY Super Splash Iray Pack, fetched Jackson's Field (she and RGcincy both own it.) She gives Jackson's Field to RGcincy and RGcincy gives her Medieval Hal and Garden (Prop-Barrel on Stand.) That item was owned by both and in ONE of their possession at the time. That's really all you have to look for to start this rolling! 3dcheapsake has this down pat. NSF #9 Novica ditches Epic Wings and fetches Cyber D Model 1 (Prop) which she swaps with Stormlyght. She takes Stormlyght's Multiletter System (Prop X standard font) This all worked because both folks owned the letter system. See how easy this is? Old Hagred has made her move and now she is with nonesuch00. Stormlyght realized IceDragonArt had been warned about her complexion turning green and warty if she dared pass her along, so brave Stormlyght is pitching in and moving her. We'll have to keep track of Stormlyght's condition. New twists for passing along Old Hagred! 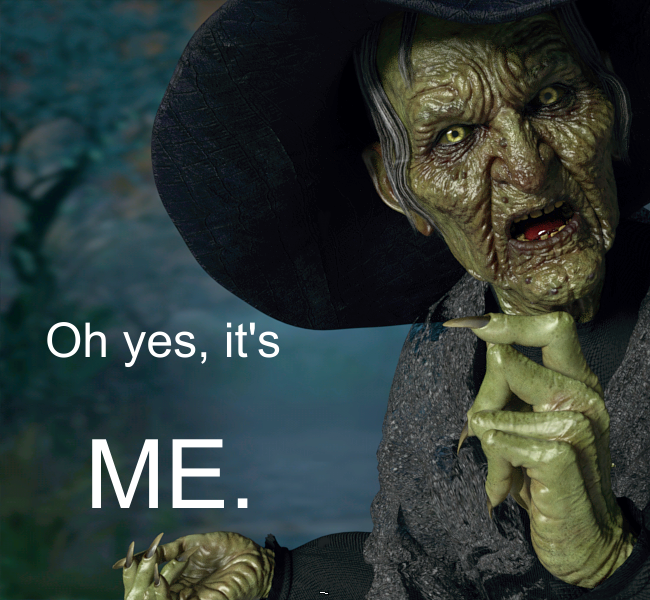 nonesuch00 wasted no time in ditching the witch Old Hagred over to Kismet2012. xmasrose is the only one left for round 1 and we'll give Kismet2012 the chance to do that. After six hours we'll start over again and she can be sent to anyone. Strategy comes into play here. xmasrose NSF#6 I'll Take That, Thanks xmasrose to Novica: xmasrose wants Baby Packy to play with her Deaddy Bear but graciously gives the horse owner DA Unicorn for Daz Horse 2 to replace her loss of Baby Packy. xmasrose ditches Yasuo for Lee 6 as she'd have too many characters. 8:45a kismet2012 and Novica discussed getting dreamfarmer more involved with changes, and Novica is kinda busy so kismet2012 to the rescue. Kismet2012 NSF #4 You And You Swap RGcincy and dreamfarmer RGcincy gets a Summer Gazebo (to go with The Alcove) and dreamfarmer takes his Fantasy Tavern. 9:42a xmasrose #8 Fetch It For Me, Thanks! xmasrose gets IceDragonArt to give up Old West Bath House so she can fetch Disconsolation. Then IceDragonArt swaps Disconsolation to xmasrose and takes her Tree And Swing. 10:02a LaPetiteVerita seems to have no regrets about stealing the broom, but she hustles Old Hagred to barbult before the witch gets an angrier. Old Hagred can be on the move at 2:02p if barbult doesn't move her out! 11:27 IceDragonArt #7 You're A Thief RGcincy must steal BBQ Grill Collection (Grill) from nonesuch00 and designate a replacement prop for nonesuch. He must also decide which item he has to give up because now he has too many props. EDIT NOVICA WILL DECIDE AFTER PROCESSING ALL GAMEPLAYS AFTER THIS ONE. 11:53a nonesuch NSF #8 Fetch It For Me, Thanks! Barbult gave up Daz Barn to go get Disconsolation, swapped that to nonesuch and received Jacuzzi Room. 11:53a nonesuch NSF #8 Fetch It For Me, Thanks Dreamfarmer takes Jackson's Field (Prop: Fingerpost Sign) from RGcincy. Dreamfarmer must now decide what prop to give up, and what RGcincy takes. (I am reading through the posts to see if that was done before I put a stopplay on his props.) I'll get to it, not skipping posts. 11:53a nonesuch NSF#4 You And You Swap Stormlyght gives Patio Dining (Set) to LaPetiteVerita and takes her GIS Nova. 11:53a nonesuch NSF#5 Say Bye And Hi Novica gave up DM's Anardhaus and took Fancy A Game Of Chess. 11:55a IceDragonArt NSF#5 Say Bye And Hi Saphirewild said bye to that swimmingly adorable Dolphin and took Belladonna for V4. 12:10 IceDragonArt NSF #4 You And You Swap Novica gives away Forgotten Tunnel Entrance to xmasrose who gives her Disconsolation. Looking through all the RGcincy posts (got caught up) none involved the props so the second slot one (predetermined slot, I processed all the rest of the posts and made any changes before the stopplay on his props) was Stellar Fury and I removed it. He has the Dream Home Great Room Accessories (Bench) Steampunk Vent (Gears) and BBQ Grill Collection (Grill) You can make moves with his props. Also, having gotten through the posts, I had to designate a prop for nonesuch00 He gets Scrappy the Robot. (not a living thing, so it's a prop.) Can't believe Scrappy has been ignored this entire game! 12:38 Dreamfarmer and IceDragonArt NSF #3 We Agree To Swap Dreamfarmer gives IceDragonArt Fantasy Tavern, and gets aMAZEing Journey Around the World. 12:45p Old Hagred tried to move out a bit too early, but the graphic is adorable. 1:08 LaPetiteVerita NSF #6 She puts Zoey for Victoria 5 back in the main list, and takes RGcincy's Kincaid. She gives him Raelyn for Stephanie 4 from the list. 4:05 Novica moved Old Hagred along to RCcincy, as did barbult. We REALLY wanted to get her to him! 4:27p Novica NSF #9 Fetch Now You Two Swap LaPetiteVerita puts Industrial Storage Unit Interior back in the main list and retrieves Old Country Farmhouse. She swaps that to barbult and takes barbult's Abandoned Gas Station. LaPetiteVerita had been stuck with that storage unit since the game began, so Novica wanted her to get a variety. 4:32p barbult NSF #2 We're Swapping Says Me IceDragonArt takes Jacuzzi Room and barbult takes Tree And Swing. 12:12am August 15TH GAME ON! NEW PROCEDURE- Players are to wait if the timeline is THREE POSTS behind. Old Hagred has gone to Stormlyght, Saphirewild, nonesuch, and 3dcheapskate. 12:03a Stormlyght NSF #6 I'll Take That, Thanks. Stormlyght takes Kismet2012's Iray Ghost Light 2, Kismet gets Iray Snow, Light, and Ash from the list. Stormlyght has too many things so Medieval Hall and Garden goes back to the list. 1:12a Novica NSF #5 xmasrose returns Vintage Luggage (Briefcase) to the list and takes Playtime (Hobby Horse) xmasrose has had that luggage since the start of the game! 1:12a LaPetiteVerita NSF#8 Fetch It For Me, Thanks! RGcincy ditched The Alcove and got Enchanted Ballroom from the list. He swapped that to LaPetiteVerita and took her Abandoned Gas Station. 1:17a dreamfarmer NSF #5 Say Bye And Hi to Stormlyght She puts GIS Nova in the main list and gets Mystical Cave for Stormlyght. 1:28a Novica NSF #5 Say Bye And Hi nonesuch00 has had Fantasy Scythes since the beginning so that goes to the main list and he gets The Gardener's Potting Shed Tools (Wheelbarrow.) Hint- a lot of people own that, which allows for more gameplay. 2a Novica NSF#5 Say Bye And Hi 3dcheapskate has had the She Freak for awhile, and the RDNA Sluggians are just waiting to enter the game. So She Freak gets sent to the list and the Sluggians are now keeping 3dcheapskate company. 2:52a Novica NSF#9 Fetch Now You Two Swap xmasrose and nonesuch. nonesuch00 ditches Genesis Cupid back to the list and brings back Toon Alien. He then swaps Toon Alien with xmasrose so her Baby Packy goes to nonesuch00. It's a good thing too, because Baby Packy really doesn't like to share the spotlight with anyone and nonesuch00 will pamper him. 3:22a Novica NSF #9 Fetch Now You Two Swap dreamfarmer and Stormlyght Stormlyght ditches Disconsolation back to the main list and picks up Sun Hall (which hasn't been in play yet.) She then swaps Sun Hall with dreamfarmer who gives Stormlyght Winterblack Tower. 4:30a Novica NSF #5 Say Bye And Hi Say bye to Morpheus and hi to Muck. 5:12a Kismet2012 wasn't have it. Er, HER. Old Hagred got sent to Novica. She can be on the move again at 7:12a Central. 5:17a Novica sent Old Hagred to dreamfarmer so she has her. Starting on round 3, everyone is now fair game. 5:15a 3dcheapsake NSF#8 Fetch It For Me, Thanks IceDragonArt gets rid of Jacuzzi Room, and fetches Echoes of Andromeda. She swaps that over to 3dcheapskate, who gives her Cryptus Sepultus. 5:18a Kismet2012 NSF#1 I'll Swap With List Kismet2012 swaps out Shoot First Corner with Cafe Luca. 5:52a Stormlyght NSF #6 I'll Take That, Thanks Stormlyght sends Jackson's Field (Fingerpost Sign) back to the main list. She takes dreamfarmers Poseable Peonies. She then has Dreamfarmer pick up Props Pack: Fun In The Sun (Lounge Chair) as dreamfarmer is short an item. 6:03a Stormlyght NSF#1 I'll Swap With List She says goodbye to Winterblack Tower and takes The Void. The NSF#1 is a one time use. 6:11a 3dcheapskate NSF#6 I'll Take That, Thanks 3dcheapskate gives up Dystopian Console and takes Playtime (HobbyHorse) from xmasrose. Then picks Inflatable Boat (Outboard Motor) so she can putter along. 6:57a Kismet2012 NSF#5 Say Bye And Hi Novica says Bye to DM's Cave of Secrets and Hi to DA Palm Island. 7:06 Stormlyght NSF #2 We're Swapping Says Me with Novica. Novica gets cute Sakura 8 and the DA Unicorn for Daz Horse 2 canters over to Stormlyght's place to check out the stuff she currently has, like Mystical Cave and all the other goodies. 7:33 Kismet2012 (by proxy, Novica) NSF #5 Say Bye And Hi to LaPetiteVerita who has boring Jeweled Excellence Earrings 2. I mean they're pretty, but in this contest pretty won't win. So RW Rafting Fun (Raft) is more likely to get noticed. Enjoy! 7:46am Old Hagred was sent to xmasrose by Novica She can be on the move starting in about 15 minutes EVERY HOUR. 8:07 Kismet2012 (by proxy, Novica) NSF #5 Say Bye And Hi Bye to Tree And Swing, because it goes too neatly with the country farmhouse. Hi to The Cage. 8:36a xmasrose sent Old Hagred on her way to Saphirewild (that Supersonic Broom is awesome!) At 9:36 anyone can send the witch on the way if Saphirewild hasn't. 9:26a Novica NSF#2 We're Swapping Says Me with nonesuch00 Scrappy The Robot leaves nonesuch00 and he gets the Geisha Prop Collection (4 Asian Inspired Fans) Those fans will keep Baby Packy nice and cool. 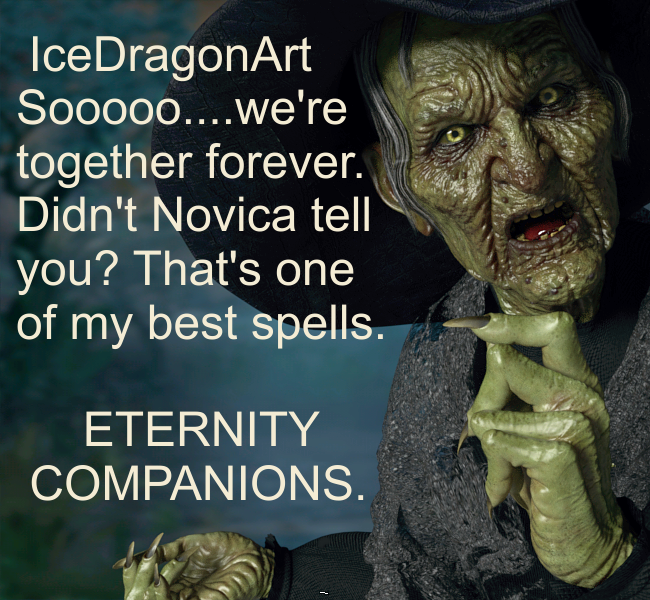 9:39 Novica sent Old Hagred to IceDragonArt and rounding it to 9:40. She can move every 10 minutes. 9:46a IceDragonArt NSF#2 Gave Kismet2012 Crypt Sepultus and wanted Bend of the River Does not work as both parties don't own both sets. 9:54a Novica becomes dreamfarmer's proxy but is straightening out IceDragonArt's dilemma. 9:55a Novica uses NSF#1 Swap With List and changes SY Rigged Waterfalls to Grapesvines (Grapes) . IceDragonArt having to wait on me to look something up, so I am honoring her last move because we had to chat back and forth. She would have easily posted two or three minutes earlier. The play ONLY involves her. 10a IceDragonArt NSF#1 Swap With List Boned Wings for G3/8 Midnight Skeleton replaces the Black Market Blades Silent Death. She was so busy with that, Old Hagred ended up with IceDragonArt! It sat in her possession since 9:40am. CONTEST CLOSED AT 10am. IceDragonArt got Old Hagred!!!! Red Shows if an item is owned at the moment. Please check the Current Standings page to double check if this is current. There may be a lag. There are no "O" props. Note, there are NO "H" sets. It's not a mistake. Oh RGcincy, someone wants to give you some love. You have 6 hours to pass her along, time is 10:45 p Central so 4:45am any game player can pounce and decide where she goes. First post AFTER 4:45am gets to decide. So lucky you, you just got sent to the list and now own a Nose Piercing (PROP) from Piercing Collection. *Note the list has been changed. Piercing Collection is now in RED and not available unless taken from Kismet2012. The link at the top of that page takes you to this post. *Note Kismet's possessions have been changed. ALWAYS CHECK THIS TO ENSURE THE LAST POST IS COVERED. Click the link at the top of that page- it's easy! I know you've always dreamed of being boss. Now YOU get to tell who to be a thief, and what they're going to steal. The person who had to steal MUST give up the same type item to the Now Available list, because now they have too many items in their possession. (If you made them steal a Character, they have to give up a Character.) It can't be the item they just stole. THEY get to decide. The person who stole also tells the person they stole FROM, what item they must take from the list to replace it. So the bottom line is, who are you going to tick off? A surprise first move from the cheapskate's nemesis ! Hi cheap, you remember that little "Overheating" joke of yours, when you did three renders of Andy (the Poser mannequin) in progressive stages of melting ? And you remember that Andy said he'd get his revenge? Well, he knows that you were planning on keeping that single use NSF#1 to get rid of the worst item in your possesion at the very last moment... not any more you aren't ! Hope I did that right ? Edit:I assume that you'll update the list and current standing (since you mentioned that we don't need to use the templates now) ? Edit2: Added link to original image post. Metadata: This is my first NSF (NSF1 once) and I haven't NSFed any other person yet.